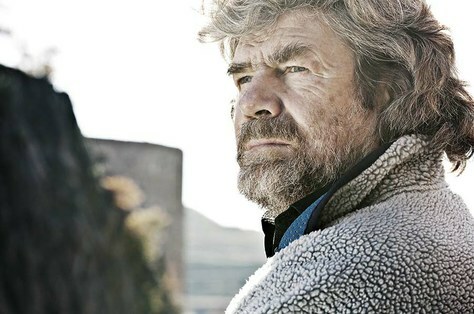 Adidas outdoor presents Reinhold Messner, live at Town Hall on February 2, as a benefit supporting Mountaineers Books. Special ticket price for Mountaineers members. Born in 1944 in South Tyrol, Reinhold Messner is one of the most famous mountaineers and adventurers of our time. Join us at Town Hall on February 2 to spend an evening with this mountaineering legend. He has accomplished roughly one hundred first ascents, and crossed Antarctica, Greenland, Tibet, and two deserts on foot. Messner is the author of more than 60 books, including his newest, Reinhold Messner: My Life at the Limit. He now devotes his time and energy to his Messner Mountain Museum (MMM) project and to his Messner Mountain Foundation (MMF), which aims to support mountain people worldwide. At the event, Messner will be joined on stage by John Roskelley. A Spokane native, Roskelley is also a legendary mountaineer and author. Roskelley has climbed extensively in the Himalaya, putting up new routes on mountains such as k2 and Nanda Devi. And, he is, along with Messner, one of only six people to have received the prestigious Piolet D'Or (The Golden Ice Ax) award, rewarding climbing careers that have inspired following generations. Mountaineers Books has published his books, including The Roskelley Collection and, most recently, Paddling the Columbia. Signed copies of Reinhold Messner: My Life at the Limit will be available for purchase before the event, and at the door. If you are interested in being contacted in the event that any tickets become available again, or if additional events or appearances arise, please email lacet at mountaineersbooks dot org. What would you like to see John Roskelley ask Mr. Messner? Email your question to lacet@mountaineersbooks.org. If John chooses your question as one to ask at the event, we'll mail you a free copy of Reinhold Messner: My Life at the Limit.